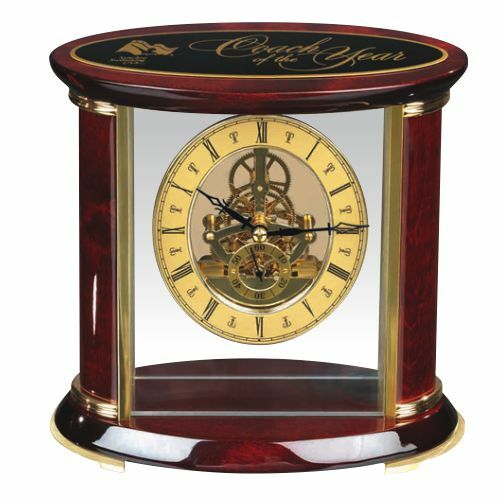 A stunning combination of Rosewood and glass with an open view of the clockworks is a classic timepiece. The black brass plate is professionally laser engraved to commemorate a retirement or any recognition occasion. Melissa Swander did an excellent job designing our awards! No edits or changes needed. Thank you for a job well done and the extra special touch added to the awards!